Following the back-to-back heavy defeats to Man City, Arsenal traveled to the Amex Stadium to face-off against Brighton on Sunday in the hopes of getting back on track with a proper win. However, the Premier League encounter only added more misery in the Gunners’ camp, as Arsene Wenger’s men were handed their fourth successive defeat by the Seagulls. Lewis Dunk and Glenn Murray scored two early goals to give the home side a comfortable lead, and while the North Londoners did manage to pull one back towards the end of the first half, it wasn’t enough to salvage any points. 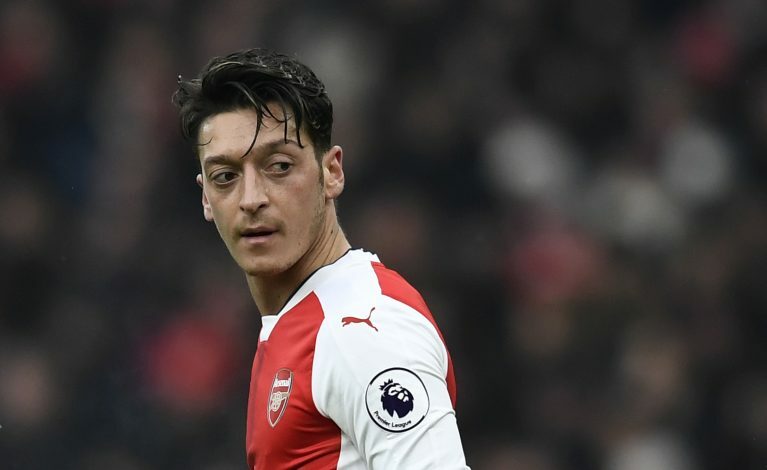 Naturally, this defeat has left the entire Arsenal fan base fuming with anger and disappointment, and as per James Benge of The Evening Standard, the club’s star playmaker Mesut Ozil experienced similar emotions whilst on the pitch. As soon as Brighton bagged their second goal, the German international cut an extremely frustrated figure, as evident from his actions and body language. Ozil, who recently signed a long-term contract extension with Arsenal, is evidently in distress with his team’s latest results, just like his fellow teammates and club supporters. Sitting sixth in the Premier League table and the chances of qualifying for next season’s Champions League looking bleak, the whole team needs to collectively step up for their next game against Milan in the Europa League if they are to have any hopes of saving their campaign.